Construction workers face very dangerous working conditions. Serious work-related injuries frequently occur at construction sites. Hazards can include moving or falling machinery, heavy objects, falls from high elevations, defective or unsafe equipment, electric currents, asbestos and chemicals. Many federal and state laws protect the health and safety of all construction workers. These laws set forth the standards that the construction industry must follow to reduce or eliminate various construction site hazards. For example, OSHA mandates that contractors follow various safety standards governing the use of scaffolding and cranes. Why do Construction Site Accidents Occur? Despite these standards, construction site accidents still occur. Sometimes, an accident may take place because the contractor failed to follow applicable safety rules. Other times, a machine or tool that a construction worker was using may have failed and triggered the accident. This can result in devastating injuries to construction workers and other bystanders. When a construction site accident occurs, many parties can be liable: owners, architects, fellow on-site workers, and manufacturers of equipment. 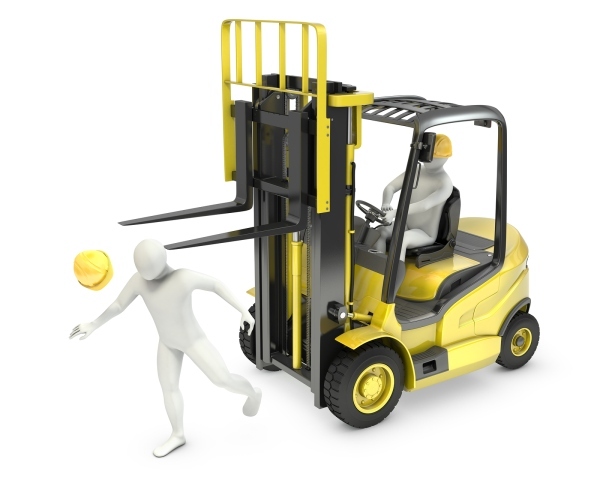 If you sustain an injury while on the job, you have numerous rights designed to protect you medically and financially. You may be able to collect benefits that could include full payment for all work related injury medical bills, temporary disability payments while the worker is unable to return to their job, and compensation in the form of a monetary award that is set by statute based on the percentage of disability caused by the work related injury. The system is complicated and requires the legal expertise of an experienced Construction Site Accident Lawyer trained to fight for your legal rights. As an injured worker, you immediately face multiple issues, and dealing with these issues can be difficult, frustrating, exhausting and time consuming. Contact Houston Construction Site Accident Attorney, Blaine A “Bat” Tucker for assistance and guidance when faced with the issues that come out of a workplace accident. If you or a loved one has been injured at a construction site, it is crucial to establish what compensation you may be entitled to as soon as possible. We will work with your insurance company and other parties in your case in order to get the compensation you deserve.